Ahead of the third anniversary of Steve Jobs' passing, Apple CEO Tim Cook has sent a memo to Apple employees (via iClarified), asking them to take some time to remember the "many ways Steve made our world better." Sunday will mark the third anniversary of Steve's passing. I'm sure that many of you will be thinking of him on that day, as I know I will. I hope you'll take a moment to appreciate the many ways Steve made our world better. Children learn in new ways thanks to the products he dreamed up. The most creative people on earth use them to compose symphonies and pop songs, and write everything from novels to poetry to text messages. Steve's life's work produced the canvas on which artists now create masterpieces. Steve's vision extended far beyond the years he was alive, and the values on which he built Apple will always be with us. Many of the ideas and projects we're working on today got started after he died, but his influence on them -- and on all of us -- is unmistakeable. Enjoy your weekend, and thanks for helping carry Steve's legacy into the future. Though Steve Jobs passed away three years ago on October 5, 2011, the former Apple CEO has continued to have a major impact on the company. His fourth floor office has remained untouched since his death, and Apple CEO Tim Cook has taken several opportunities during recent interviews to emphasize Jobs' influence on the company's direction and on the development of new products. "His spirit will always be the foundation of the company," Cook said in an interview with Charlie Rose, where he said that Steve will always be in his heart. "He is deep in Apple's DNA." Seems like Apple is treating him like a religious figure. There's nothing wrong with remembering your beloved ones on the anniversary of their death y'know... Perhaps you haven't lose a friend or a family member. No it wasn't, Steve just happened to be wrong on what he thought was the "perfect" screen size of an iPhone. It wouldn't have been the first thing he was wrong on. He wasn't wrong. Back before 2011, that was the correct size. 2014 is different. Steve's ability was to know where to put his money on. 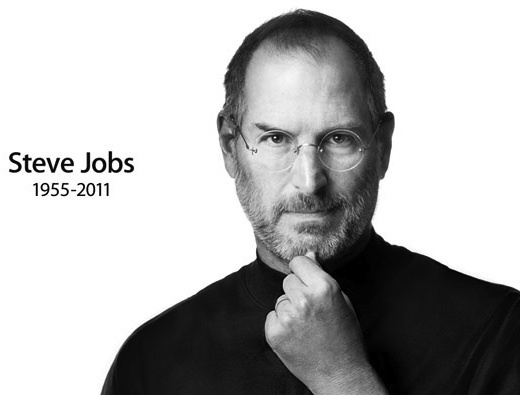 It really doesn't seem like 3 years have past since Mr. Jobs death. If he comes back now we have bigger problems. Like the zombie apocalypse. So is this gonna be an annual thing now?? Steve wouldn't have allo...oh wait. This was nice. R.I.P. Steve and Thank you. Steve's legacy was killed by iPhone 6 Plus.